Distinctly styled with a decidedly lavish interior, the five-seat BMW X5 is one of the most sought-after luxury midsize SUVs on the market. Of course, it’s not all looks; the BMW X5 offers a range of powerful engines and can tow up to 7,200 pounds when properly equipped. Whether you’re shopping for a comfortable family SUV with all the bells and whistles or a capable tower for weekend road trips around San Marcos, the BMW X5 fits the bill. 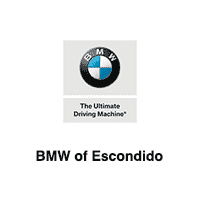 BMW of Escondido is proud to offer an inventory of 14 new BMW X5 SUVs for sale near San Diego! If you find one you like, get pre-approved for a BMW lease or financing! Shop New BMW X5 SUVs for Sale Near Poway! Experience all the BMW X5 offers from the driver’s seat! Contact us to schedule a test drive near Carlsbad, and to learn more about our BMW X5 lease deals!